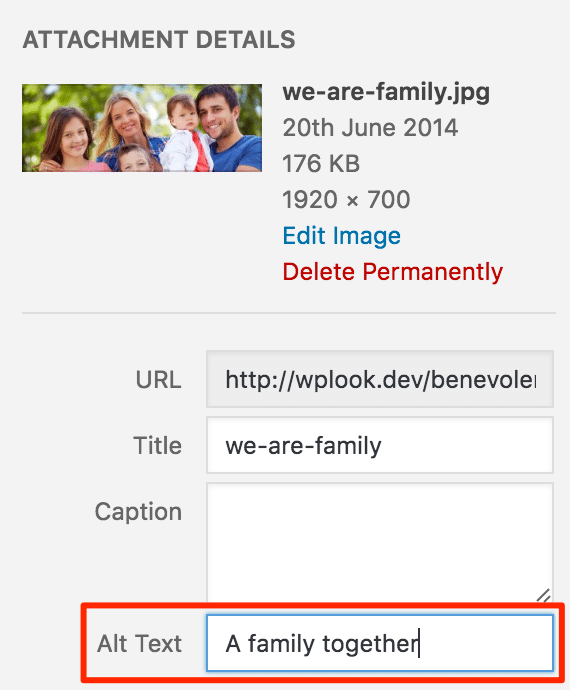 To make the experience of using your site the best as possible for everyone, make sure to give your images Alt Text, which is the text read out by screen readers instead of an image. 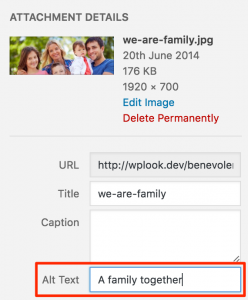 This field is available both when inserting an image, and editing an existing one. No one likes to read writing that never pauses for a line break. To break your writing up into paragraphs, simply press enter when writing a post to start another line. If you are writing long posts, break up the sections by using headings to highlight a change of subject. You can add headings into your posts by using the Paragraph dropdown menu in the WordPress editor. Click it, and select a style you want, with Heading 1 being the most important and Heading 6 being the least important. It's important to keep your posts looking professional, and that includes checking they are spelled correctly. Your browser will usually check your spelling and highlight errors automatically based on the language of your operating system. Ranting on blogs is commonplace today, but take a moment and think about what you are writing. Remember, once it is out there, it can be seen by many and crawled by search engines; and taking things back is harder once it is public. Take a moment to read what you've written before hitting the Publish button. When you are ready, share it with the world. You’ve heard this a thousand times before and it sounds too cliched, but it is true. If you force yourself to write something that you don’t really enjoy, it will show. Perhaps you might not have a specific theme for writing when you just start, but that’s ok. You’ll become more focused later. Just enjoy the experience and write what you like. Write as frequently as you can, but don’t let quantity get in the way of quality. Your viewers come for content, not to spend time reading useless stuff. Not all the readers will be from your part of the world so make sure people can understand your writing easily. Tempting as it might be, don’t hide your real emotions. After all that is what a blog is about. If you want, you can stay anonymous and voice your feelings on whatever you are passionate about. You might have strong views on various subjects but let your readers know your passion. What is passion worth if you can’t even share it? You’ll actually love the discussions it can lead to. The discussions will broaden your own thinking and you might end up making some really good friends. Before writing a post, consider who you are aiming it at. What information will that particular group of people benefit from and how much do they already know about the subject? Keep your blog posts interesting, but make sure your audience won't find them too difficult to understand. Comments let people share their ideas. You might not always agree with them, but they are great for starting discussions which will draw people to your blog. They make the pages colorful and viewers get to see a little of your part of the world. They feel connected. Don’t stop blogging. If you don’t have anything to write about, chances are, you are still holding back. Let loose. Perhaps surf more blogs and maybe you’ll get an idea. Write about topics that interest you, the latest developments in your company or industry or what you've got coming up. Keep your readers interested!